Scott is a passionate professional with an entrepreneurial track record that demonstrates vision and success over the past 15 years. 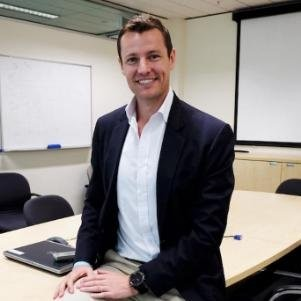 With over 10 years’ experience as a business leader across Asia Pacific, Scott has designed and developed employee health improvement programs for most industries. Now spearheading WellteQ, Scott’s focus is engaging people to use health technology and improving businesses with data analytics. People analytics helps organizations to make smarter, more strategic and more informed talent decisions. This workshop will explain how data and sophisticated analysis is brought to bear on people-related issues, such as recruiting, performance evaluation, leadership, hiring and promotion, job design, compensation, and collaboration.